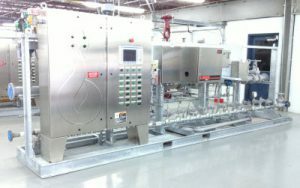 Burner Management Systems - BORN Inc.
It’s about your equipment and your employees. Keep them SAFE! Safe startup of fired heaters is a function of properly following established procedures for purging, pilot ignition and main burner operation. Born Environmental’s affiliation with Born, Inc., a renowned heater company for ninety seven years, gives us unparalleled insight in how to best accomplish this. Safe start-up with minimum effort required by operations. Safe shutdown, especially in plant emergencies, with no effort required by the operator. Giving the “best operator” operation of the heater at all times through dependable automation. Message displays to indicate location of problems, or difficulties. Minimum maintenance through the use of industry-recognized equipment. 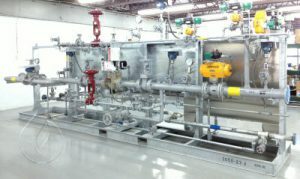 Making sure that fired equipment is shutdown when process, fuel, or mechanical design is exceeded. Demonstrating a response to the responsibility of providing a safe work environment. Providing effective tools for dependable and safe operation. All systems are fully assembled, skid mounted, and functionally tested at our shop before shipment. Customer witnessing is welcome. Allow BORN to offer the benefit of our experience, and combine it with your site requirements. The result will be a highly dependable, safe, and application-specific system.